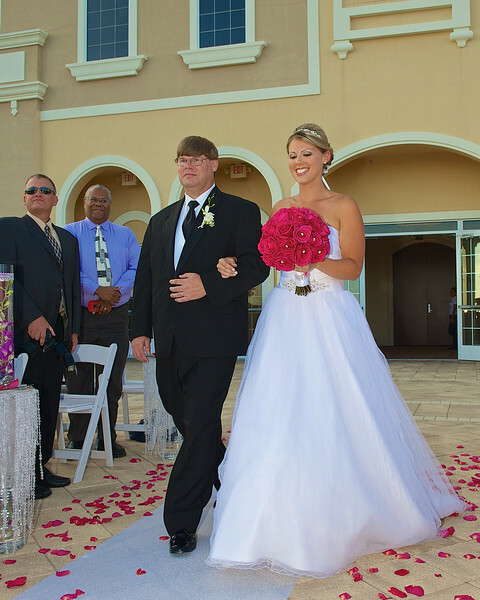 Last weekend I had the honor and pleasure of escorting my daughter down the aisle to start her next life adventure. The newlyweds had a beautiful day to start their lives together. This entry was posted in People, Weekly View and tagged aisle, bride, father of the bride, florida, groom, kiss, kissing, orlando, sunset, walking, wedding. Bookmark the permalink. Saw one of these pics on FB – your daughter looks beautiful and you look very much the proud papa! Congratulations. Congratulations to the young couple and their families. Congratulations to all of you. Your daughter looks adorable!